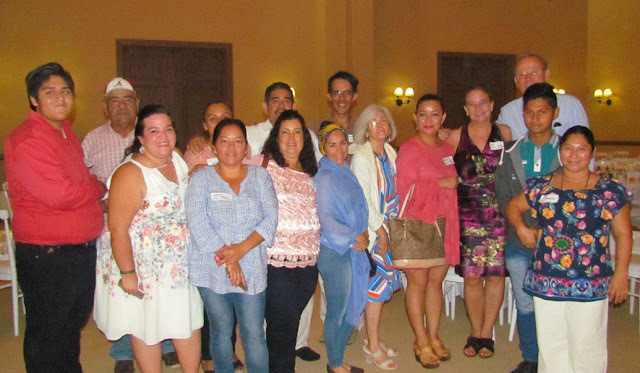 The CVB celebrates the 10th anniversary of the Punta de Mita Foundation, an entity that has embraced cultural change, inspiring locals and visitors alike in Bahía de Banderas since its inception. The Punta de Mita foundation opened its doors in Bahía de Banderas a decade ago in an effort to promote cultural change in the region. It wasn’t easy. 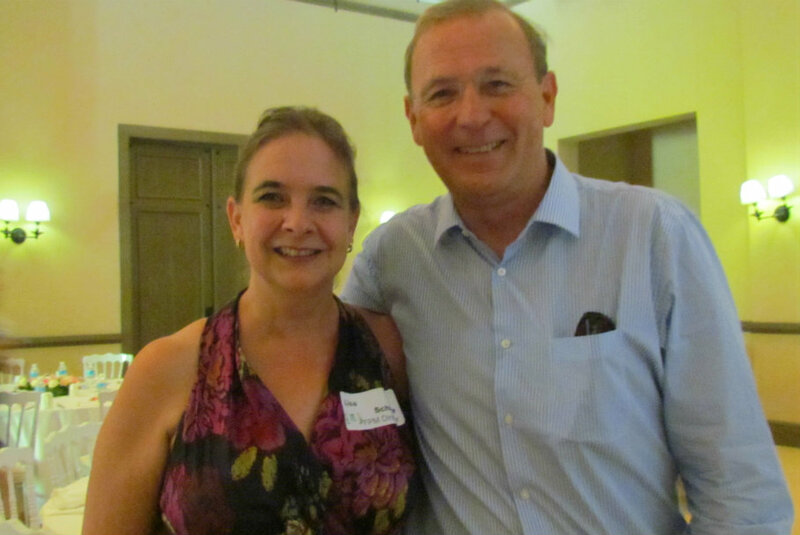 Few people believed in the project, but even so a small group of “dreamers” led by Chairman Greg Stanton and Executive Director Lisa Schalla soldiered on until they reached their goals. And so it was that on Saturday, January 13th the Foundation celebrated its tenth anniversary with the slogan “The success of an organization is the result of the combined efforts of every individual” and a breakfast where they invited representatives of the different civil organizations in Bahía de Banderas and Puerto Vallarta. Among them, the Riviera Nayarit Convention and Visitors Bureau (CVB) with which they have worked very closely on different environmental projects. 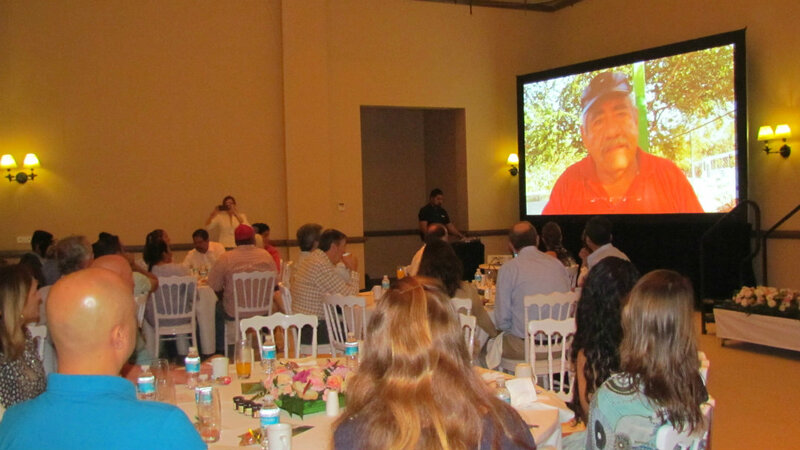 Both the CVB as well as the Bahía de Banderas Hotel and Motel Association (AHMBB) highlight the importance of these alliances between the different sectors in provoking significant change within the communities. The event was held at the St. Regis Punta Mita Resort, where other well-known philanthropists from the area and a group of citizens from the communities of Corral del Risco and Emiliano Zapata (both in Punta de Mita) had the opportunity to witness the continuous work the Foundation has been engaged in since its launch. 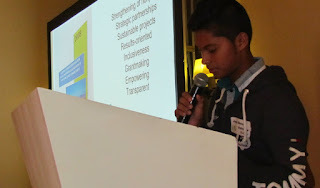 Lisa Schalla pointed out the different achievements completed during this first decade, and highlighed the work they’ve done and the resources they've obtained, all made possible thanks to the interest and trust of international agencies and national foundation, the commitment of the Mexican Alliance of Community Foundations (Comunalia) and, of course, the continued sponsorship of their donors. Executive Director Lisa Schalla and Chairman Greg Stanton. One of the main achievements of the past 10 years has been Phase I of the Del Mar Community Center, a project that went on for over two years. Thanks to the national network of Comunalia and a one-million peso donation from the Soriana Foundation it became a reality in February of 2017. This Center works towards preventing school dropouts and giving the community a space for workshops and teamwork. It’s important to point out that Nuevo Corral del Risco and Emiliano Zapata are mid- to high-marginal communities, full of teens and children. These communities depend on tourism (especially tours to the Islas Marietas) and fishing, and they also support a large number of migrants from other states who arrive in search of construction jobs. The challenge for 2018 is to continue working with the different civil associations and for more people to come to the new Del Mar Community Center, whether its for classes or to lend their services. 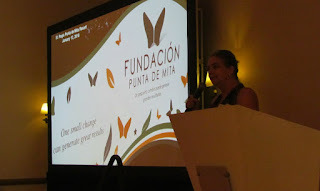 The Punta de Mita Foundation is one of 16 Community Foundations in Mexico, and one of the few organizations in Bahía de Banderas that has been awarded the Accreditation of Institutionalism and Transparency on behalf of the Cemefi (Mexican Center for Philanthropy); it is an SAT Authorized Donor, Cluni, and thanks to an alliance with the international Community Foundations and the Canadian Children’s Shelter of Hope Foundation, it can also be tax deductible in the US and Canada. 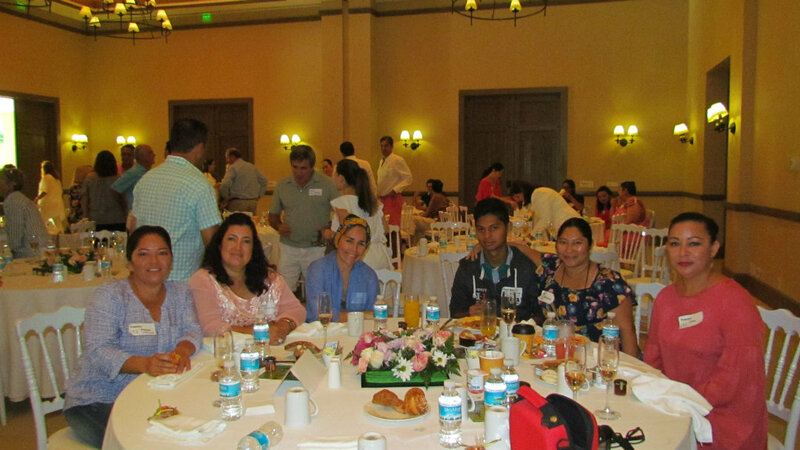 The Riviera Nayarit Convention and Visitors Bureau (CVB) and the Bahía de Banderas Hotel and Motel Associatino (AHMBB) are known for hosting dozens of tourism events throughout the year, but they also support non-profit organizations that focus on social work, all backed by the Government of the State of Nayarit via its Tourism Promotion Trust (Fiprotur).